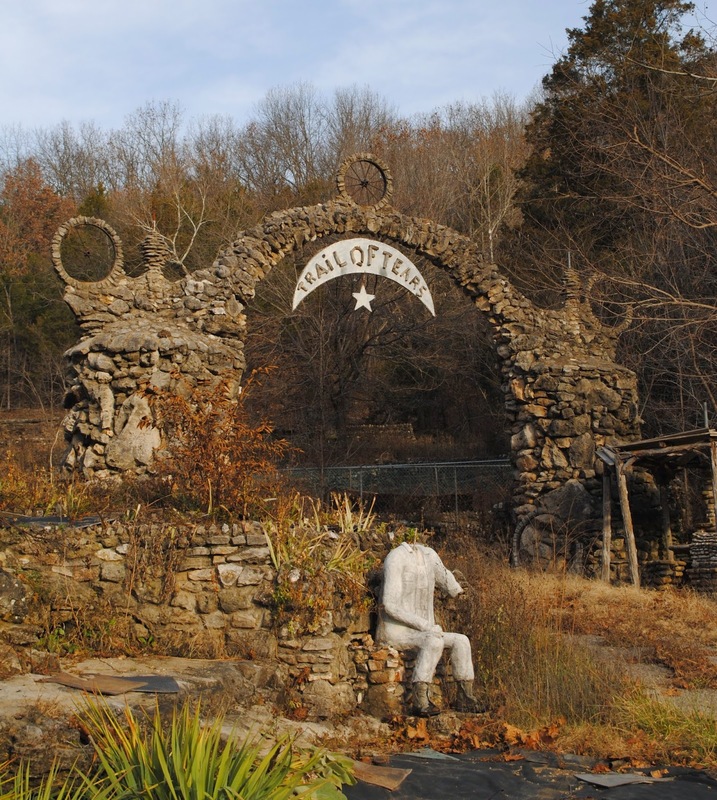 Sitting alongside old Route 66 in Jermone, MO sits a very run down, but fascinating folk art environment. 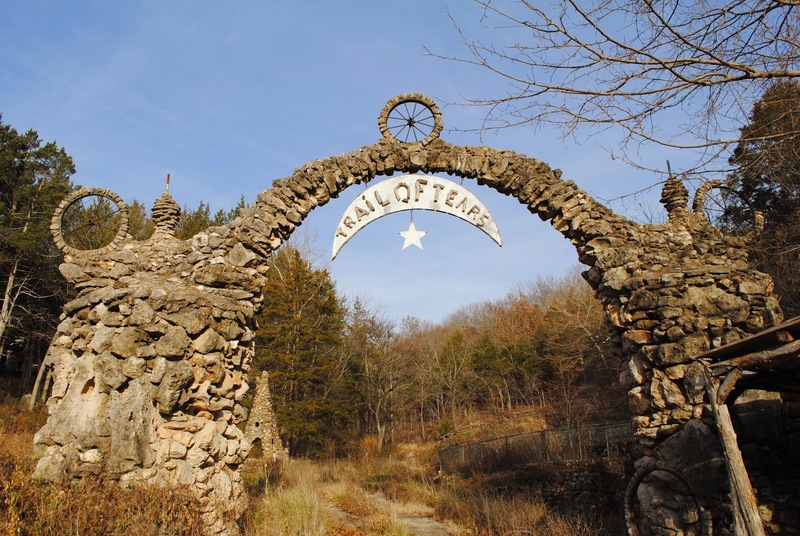 The environment was created by the late Larry Baggett as a tribute to the trail of tears, which ran through this property. 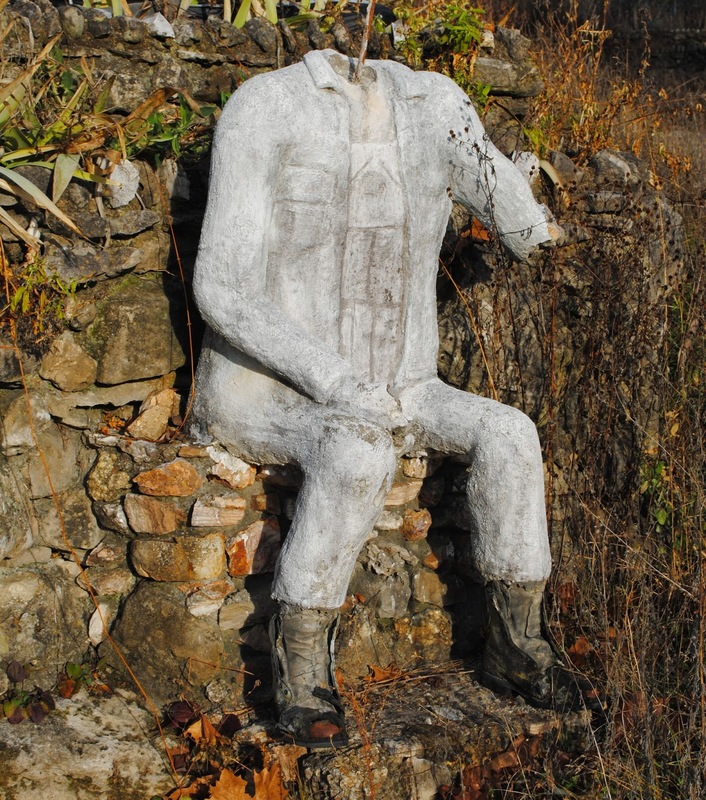 Larry believed that his residence was haunted by the spirits of Native Americans from the trail. 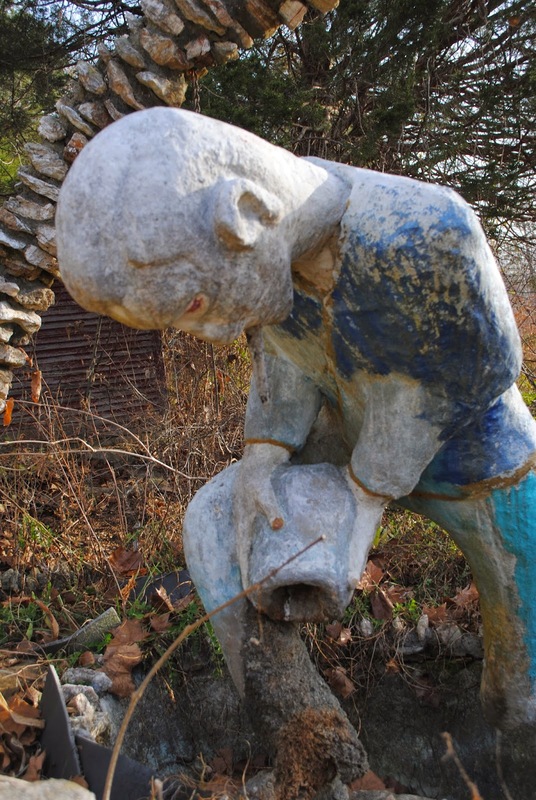 He was distrubed at night by these spirits, who he believed were trapped on his property. He remedied this by building a rock stair case over the hill his property was built on and this supposedly ended the disturbances. 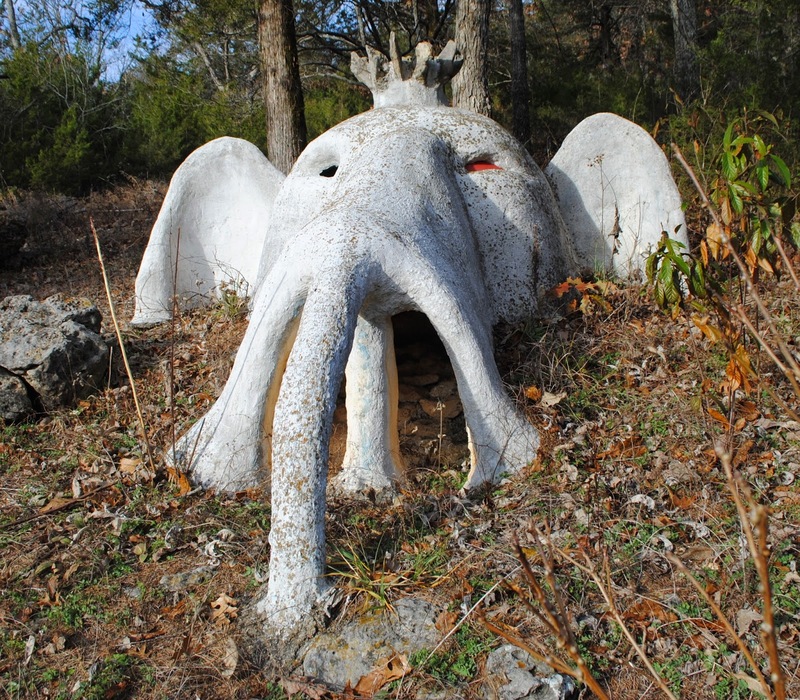 As you venture up into the woods near Larry's abandoned home you will find that the statues get more bizarre. 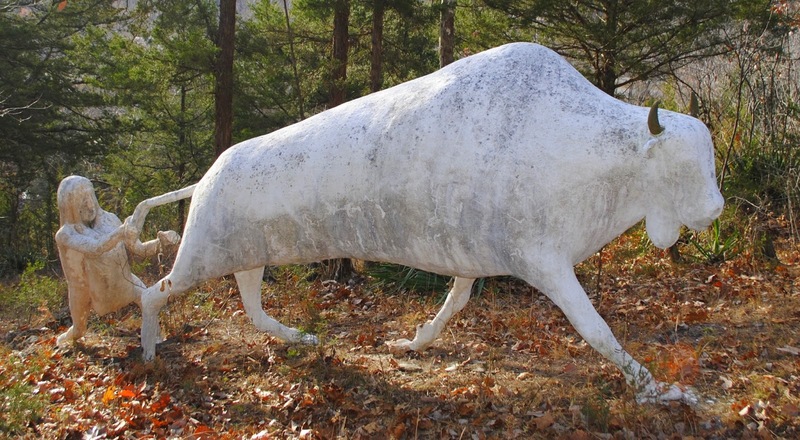 Deep in the brush is the statue of a Native American brave holding onto a Buffalo's tail. For a walkthrough of the abandoned property, check out the video below.